The Dartmouth – Lake Sunapee Region of New Hampshire is home to many outstanding and historic inns. The beautiful Upper Valley region features rolling hills, mountains, and quaint New England Villages like Lyme, New London and Hanover. Lake Sunapee , Dartmouth College, Dartmouth Hitchcock Medical Center (DHMC) and the bustling town of Hanover with it’s unique shops and restaurants makes this a popular travel destination. 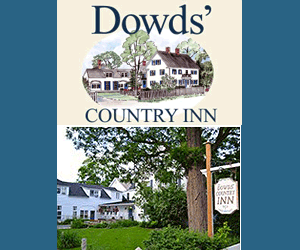 The Dowds' Country Inn is a quaint bed and breakfast in a beautiful 1780's home in the heart of Lyme, NH. It has been owned and operated by Tami Dowd & family since 1989. Our location is quiet, off-the-beaten track, and secluded from the hustle and bustle of the city. It’s a great place to get away to for a retreat. In the charming, picturesque village of Acworth. Visit Dartmouth College in Hanover, NH and experience the Upper Valley of New Hampshire's Dartmouth Lake Sunapee region. 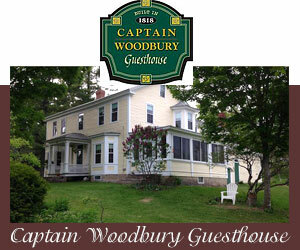 See our Top Trip Advisor rated Upper Valley, NH lodging. Find NH BnB Lodging near Dartmouth College in Hanover, NH. View New Hampshire's Internet Magazine suggested Dartmouth-Sunapee NH Inns offer exemplary lodging accommodations. West Lebanon is a shoppers mecca with hundreds of stores and tax-free New Hampshire shopping. Artists and artisans are attracted to the regions scenic vistas, fine art galleries and antique stores. Choose a town from the drop down menu or browse the listings of New Hampshire inns and B&B’s below. Ask us about Upper Valley NH or Dartmouth College lodging. To add your Dartmouth – Sunapee region New Hampshire Inn or Bed and Breakfast, please contact us.